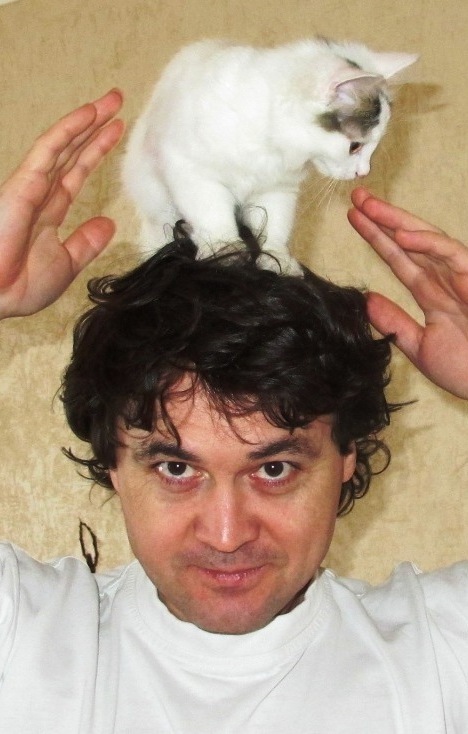 Shamil Idiatullin was born in 1971 in Ulyanovsk. He graduated from Kazan State University with a degree in journalism. Since 1988, he’s professionally engaged in journalism. Idiatullin has been among staff writers for the newspaper Kommersant since 1994. In 2003 he started to work at “Kommersant” in its Moscow HQ, where he’s still among contributing editors. He was the head of the Correspondent Network, a political columnist for the “Kommersant-Vlast” magazine, he is currently the head of the Regional Editions Department. In 2004 Idiatullin published his first novel, a political thriller “Tatar Hit” (original title — “Rucciя”). Leading Russian newspapers and magazines published reviews on Idiatullin’s novels. His books have been nominated for the prestigious Russian literary prizes (incl. “Big Book”, “Natsbest”, “Yasnaya Polyana”) as well as for the genre awards for fiction, horror and children’s literature.